Those of you who know of the ministry of the Rt. Rev. 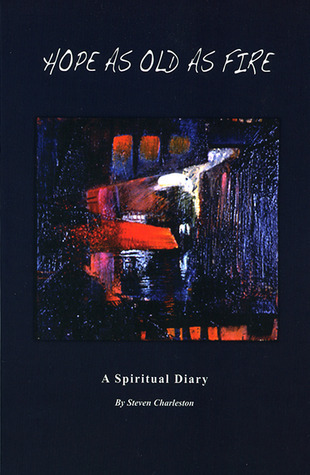 Steven Charleston will be pleased to learn of his spiritual diary Hope as Old as Fire, a compilation of meditations first posted for a year on Facebook before being published in this lovely volume (cover art by Suzanne Charleston). Obviously, this book had been written for my own particular comfort, so I immediately searched out all the entries for dates of my other loved ones: my mother, two ex-husbands, my son, my brothers. Grandchildren who were near me had to read their entries aloud; others away got my phone calls and had to listen as I read to them, or received e-mails with significant entries copied. (This entry coming on the heels of the publication of a second book on Bishop Gray’s work during the Civil Rights movement). Thus I gobbled my way through Bishop Charleston’s very fine book, barely stopping for breath, so grateful for another instance of God’s grace and comfort. Only later did I turn to the first page to begin reading and found that Bishop Charleston awakes every morning at 4:00 a.m. for meditation and prayer. That he would not be surprised at the readers who read through his book as I did, grasping — no, gasping — for entries most significant to where the reader was at that moment, and that we would finally settle down to quiet reading and contemplation of each meditation, helped by the index in the back that gives further meaning to why it was written. No one handles the language as beautifully as Bishop Charleston. He is a pleasure to read; a pleasure to hear, as all can attest who heard his keynote address to the National Altar Guild Association, during the 2006 General Convention in Columbus, Ohio. Buy this book. Find a blessing on every page.